Welcome to my TITANIC page! The greatest voyage in movie history! This page is dedicated to the film, TITANC. I know, I know, it's too late to build a page like this. But I had to do it. Because I love this film very much! 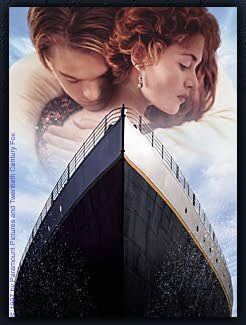 TITANIC is one of the greatest films I've ever seen! And it was best of 1997. This page will be updated irregularly, so please come back soon! Can you believe this?! 11 Oscars!!! Best Original Dramatic Score James Horner / Best Original Song "My Heart Will Go On"
Won 4 Golden Globe Awards! I'm Goh and I believe in the Ship of Dreams. All images Copyright (C)1997 by PARAMOUNT PICTURES AND TWENTIETH CENTURY FOX. This page is for fan enjoyment only. No infringement is intended. This page was created and is maintained by Goh Maruyama, from Japan.